“Looja” is a non-profit organization with older people as members. The organization is located in the capital city Tallinn but operates all over Estonia. Its goal is to allow older people to be active, appreciate the lived years, remember forgotten memories and energise creativity. 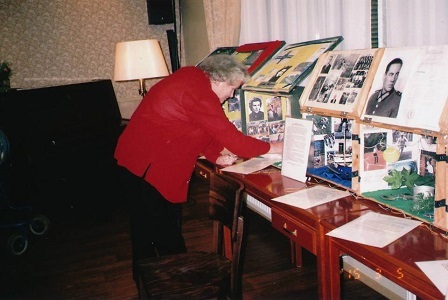 The organization begun its work in 2005 with the production of memorial boxes to save the memories of older people. These boxes were designed with symbols, items, photos and documents. Every box has an accompanying text which explains its content. The memorial boxes were shown around Estonia in many older people’s care homes and dementia care centers to be used as a vehicle of expression for the memories of older people. Even now some of the boxes are touring across Europe and give varied insight about Estonians and their history and culture. In 2009 with the help of partners from Kiel, war-themed memorial boxes were made called “The Young Estonian Man in the Great War”. A memorial box that has finished its tour will find a home where its content can continue to be of good use. For example war themed boxes are kept in the Military Museum of Valga. Details on older people's involvement: An active member of the organization answered: “For us each visit is filled with positive energy and gives motivation. And at home there's no point to simply just sit but do something good to others and you're happy! “Comments of the occupational therapist in the dementia care center: „Memory boxes are a great way of communication for people with dementia. Memory boxes help persons to preserve their identity and share themselves and their values to others. The memory box is also a tool for the carers as it allows one to better communicate and understand the person with dementia. This in turn grants improved overall quality of care and helps with everyday actions of the older people. In collaboration with „Looja“ the carers can use memory boxes in the process of care“. These activities help to revitalize the memories of the elderly, even those who have problems with cognitive memory. The response from the elderly can be seen clearly as they begin to speak of their years of youth. The organization hopes for more young members as most of the active members are 80+ years old. The organization is challenged with limited resources and a lack of personal rooms, but enthusiasm and cheerful people keep it alive. A lot of documented memories has been collected and such an amount requires extra help to archive, audio and video recordings have to be edited.